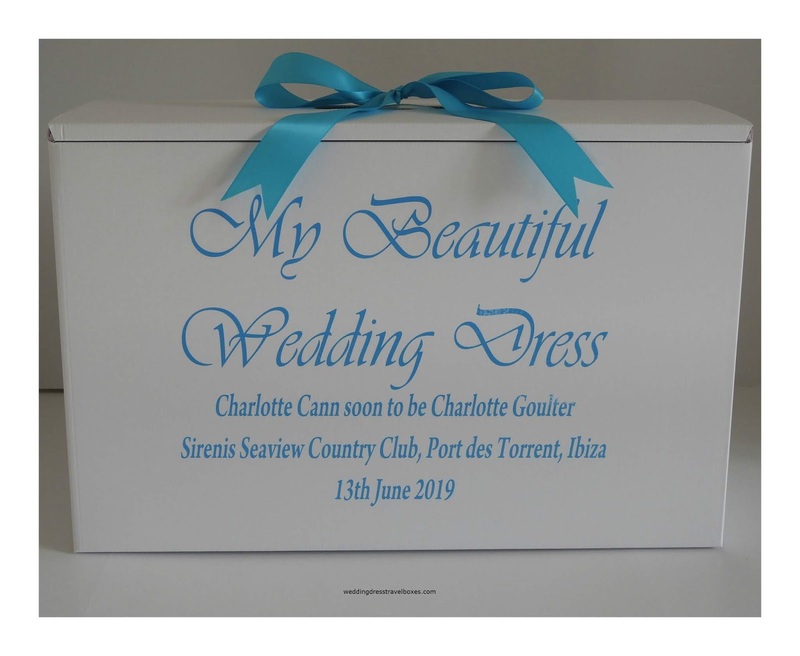 Personalised Wedding Dress Travel Boxes to transport your wedding dress safely on your flight to your destination wedding. Most Airlines will allow these as carry on hand luggage but please ensure you check with your airline for their allowances. The boxes are manufactured in the UK from Premium quality Ph Neutral & Acid Free card - they are sturdy and arrive ready assembled with a strong carry handle. All our boxes are personalised and come with your choice of ribbon to match your wedding theme.